If there is a jack of all trades in skin care, it would have to be niacinamide cream. Niacinamide has traditionally been known as a treatment for acne, but more recently, studies have supported it’s usefulness in other areas of skin care. It has been proven relevant in reducing wrinkles and fine lines, and also aiding in reduction of hyperpigmentation. The claims for niacinamide cream as a hyperpigmentation cream have been well substantiated. A 2002 study by Hakozaki et. al. showed that, when compared with a placebo cream, niacinamide helped to decrease hyperpigmentation. A topical mix of 2% niacinamide and sunscreen lotion was shown to increase skin lightness after being used for only 4 weeks. Bissett et. al. affirmed these results in 2007. Bissett used a 4% concentration of niacinamide. These studies confirm that in concentrations ranging from 2-4%, niacinamide does indeed prove to be effective in decreasing hyperpigmentation. The 2007 Bissett study indicated that 2% niacinamide could aid collagen production. An increase in collagen can give a more youthful appearance to aging skin. Research continues, and more is necessary, but so far the indicators are that niacinamide could prove to be a powerful anti-aging ingredient as well. Users of niacinamide have reported a significant decrease in age spots, all over lightening of skin, reduction of blemishes, and fading of scars. 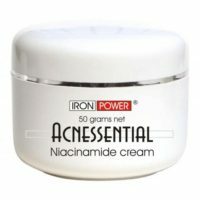 The consensus also seems to be that niacinamide performs all of these skin care miracles without leaving the common drying and irritation of most skin-lightening or anti-aging products. Niacinamide keeps skin soft, supple, hydrated, and comfortable. This wonder cream is available in many lotions for the body, under eye area, and lipsticks. Rarely does science get backed up by consumers, but niacinamide seems to be the exception to that rule. Acnessential brand skin cream is a high quality topical 4% niacinamide cream. 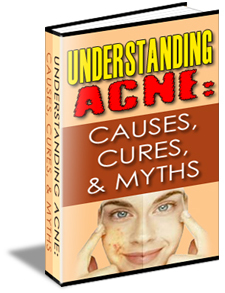 Acnessential is known by acne sufferers as a tough weapon against their skin issues. However, recently it is coming to light what a powerful tool it also is in the fight against hyperpigmentation and premature aging. Containing no harmful chemicals, the main ingredient of this natural cream is topical B3, which makes it tolerable for users with even the most sensitive skin. Acnessential provides rejuvenation for tired skin with no side effects. Suffering with dryness, redness, irritation, or burning is no longer necessary to get the benefits of a great skin cream. If you can get a hyperpigmentation cream with all of these amazing benefits, and with no damaging chemicals, why would you use anything else? Learn more about Acnessential Hyperpigmentation cream and getting rid of fine lines and wrinkles by clicking here. Learn more about buying Acnessential Hyperpigmentation cream and getting rid of acne by clicking here.